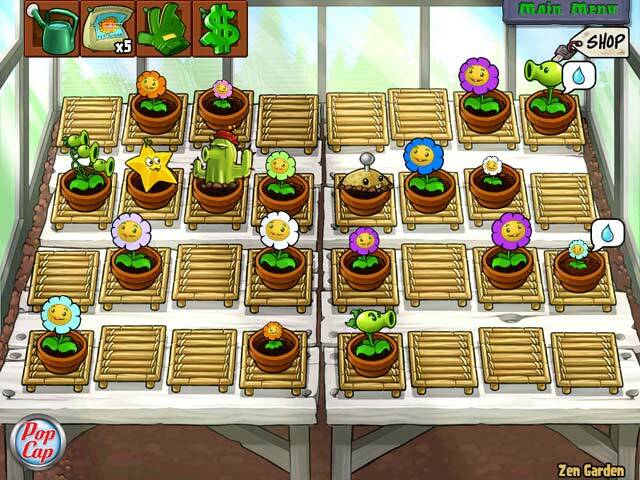 Get ready to soil your plants! 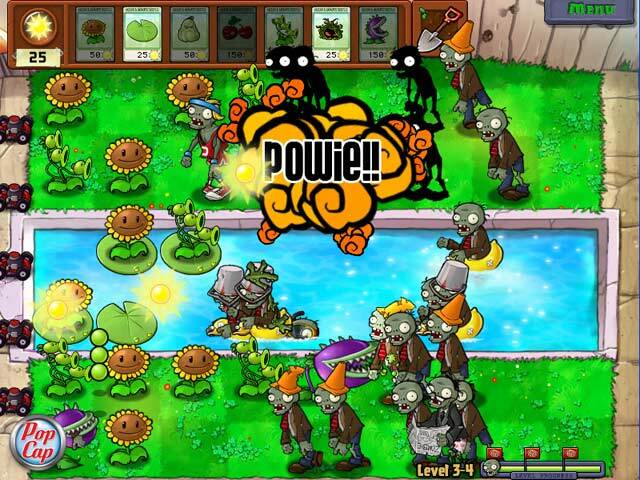 A mob of fun-loving zombies are invading your home, and your only defense is your arsenal of 49 zombie-zapping plants. 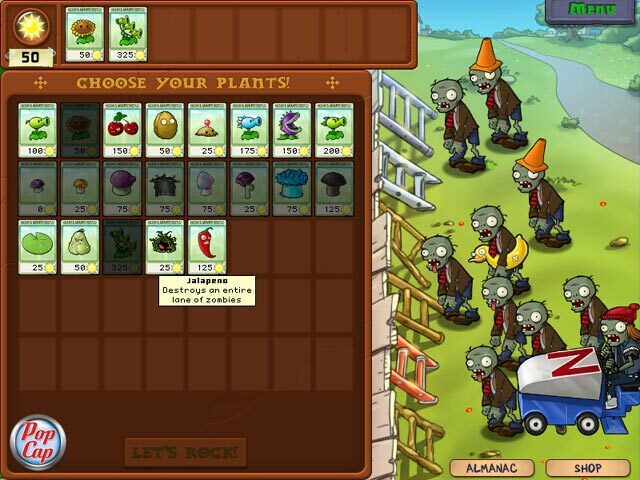 Use peashooters, wall-nuts, cherry bombs and more to slow down, confuse, weaken and mulchify 26 types of zombies before they can reach your front door. 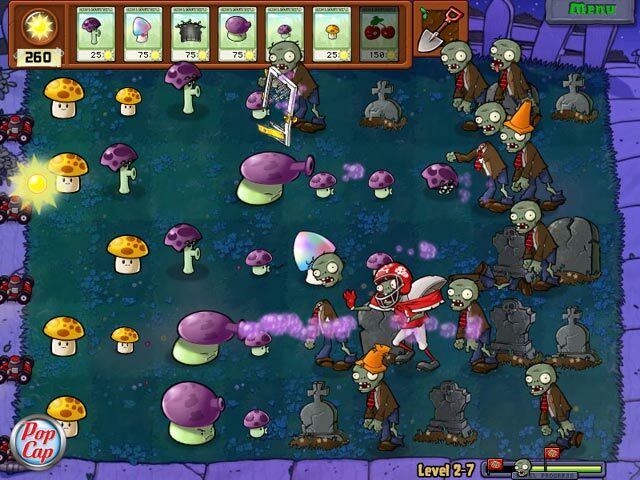 As you battle the fun-dead, obstacles like a setting sun, creeping fog and a swimming pool add to the challenge. And with five game modes to dig into, the fun never dies!